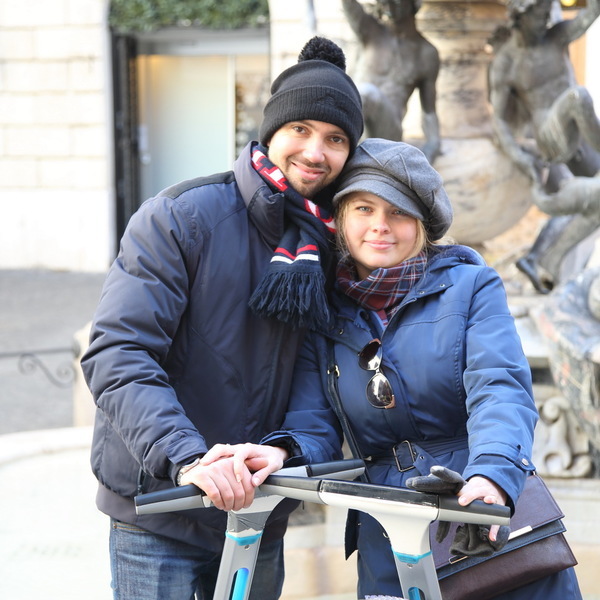 The Classical Rome segway tour visits the most famous sights and attractions within the city center, beginning at Piazza Mattei. Set in the heart of the charming Jewish Quarter, this square features the beautiful Turtles Fountain. Here, you will receive some basic training to ensure you are comfortable operating the segway. After the training, you will advance to the most lively square in the city center: Campo de’ Fiori and its street market. The next stop is the stunning Fountain of the Four Rivers, located in Piazza Navona and made by Bernini in the 17th century. From there, the tour zips to the Pantheon, Rome’s majestic ancient temple and by far the best-preserved ancient monuments in the city. The tour then continues to the Spanish Steps, with stops at the awesome Trevi Fountain, the impressive Piazza Venezia and the ancient Roman Forum. The final stop on the tour is one of the most famous and visited sites in the world – the magnificent Colosseum. On the way back, you’ll glide over Capitoline Hill, to enjoy an amazing view of Rome. Group size is limited to four participants to enhance the experience, and led by an experienced multi-lingual tour leader.